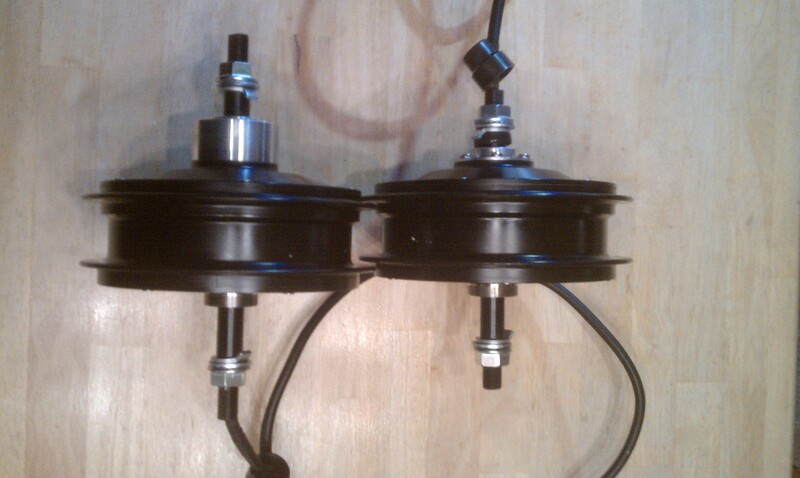 Paul just started selling the fat bike equipped Mac 10T & 12T motors at em3ev.com . Paul is the place to go for Chinese motors and parts and is our preferred vendor for BBS02 units. I talked to him about 3 months ago about this project and I’m very excited to see it come to fruition. 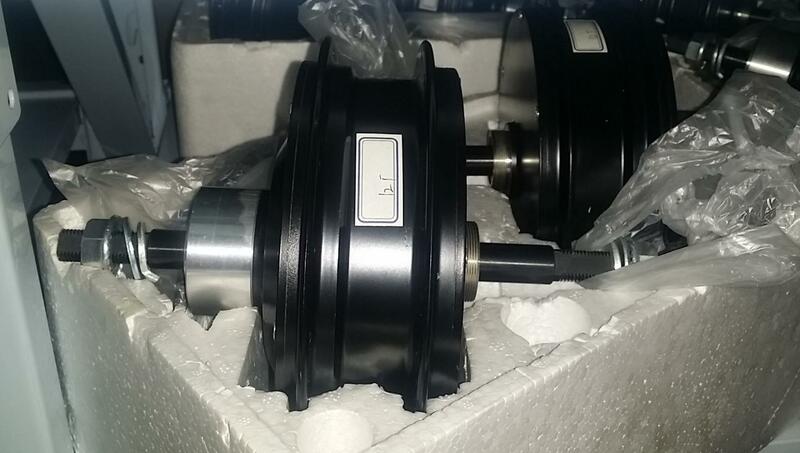 “The shaft is 175mm, as in 175mm dropout. It’s really quite simple, the shaft is longer than standard(which includes a bearing), to maintain the correct disc to dropout spacing In addition to this, there is more space on the freewheel side than normal, so you can fit a 10sp freewheel without any problem. 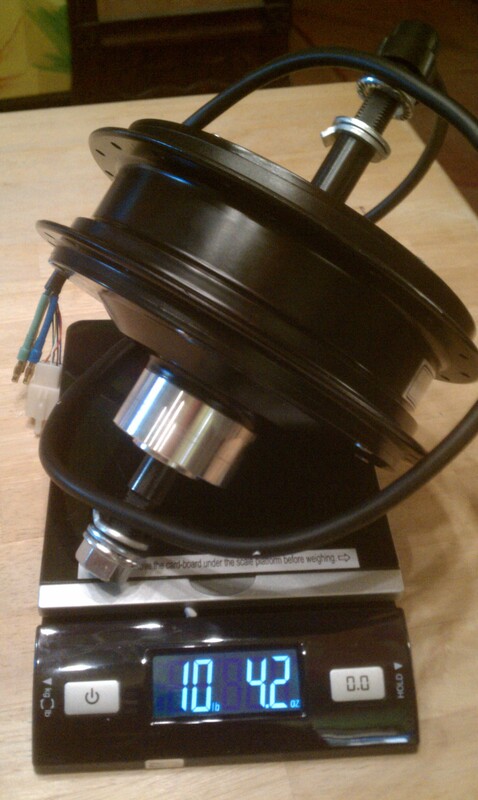 The motor is reasonably centered in the axle. The hub itself is unchanged. To order the motor go here. For more info email orders@em3.ev.com . Thanks to saucisse from Endless Sphere who thinks the new Fat Mac isn’t that much bigger than the regular Mac and it might be a little rude to call it fat. The FatMAC has finally arrived. 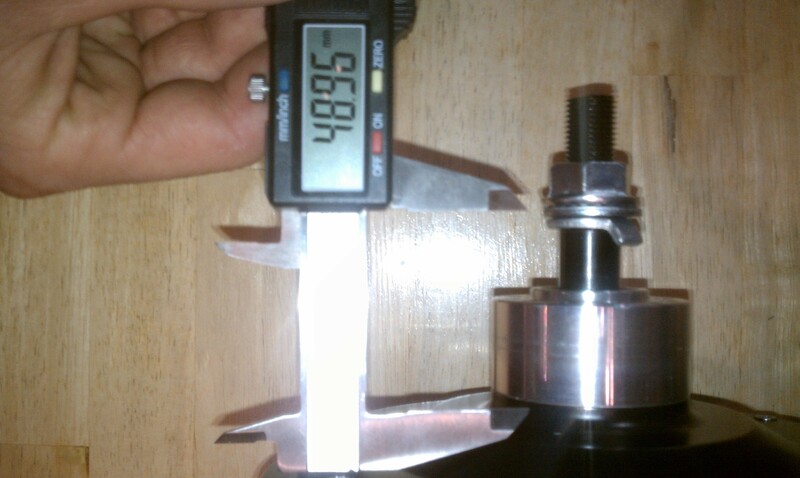 The axle is huge and should easily fit even a 205mm dropout. We bought this 12T motor to convert a Dolomite into a decent rental in town commuter. We’ll be posting a build thread in the coming weeks and will be having a smackdown between the 12T FatMac and the BBS02 750Watt Mid drive. Stay tuned. Here are a few pictures to whet your appetite. 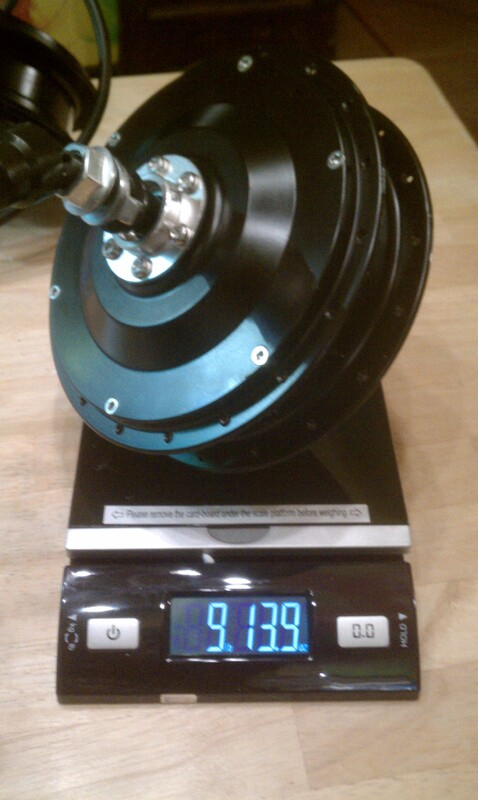 It looks to be about a lb heavier than the standard Mac and the axle is MUCH wider. I suspect you will need to put spacers between the MAC and the disk rotor and will probably have to move the caliper out a bit as well. I find it is best to split the difference between the caliper spacing and the rotor spacing so all your washers are NOT on one or the other. Hello fellow who has created this site. I am in serious need of knowledge. I am better able to learn from direct contact talking and doing. Please contact me at my email. I am working a fat tire the dolomite mongoose. I am totally new to this world of ebike. I want big powerand longevity. Ihaven’t known of this tech. I was looking to build from scratch. Iam curious. I want to hit40 min up hill i know this has to be possible. I hardly see speed capabilities on motors i have researched. Go to em3ev.com . Everything you need is there. 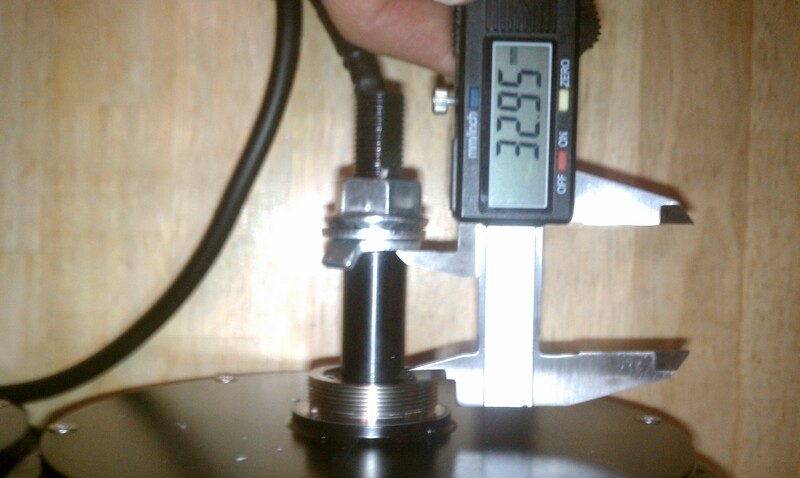 It is much harder to do a wheel build with a fatmac than it is to to a BBS02 conversion on a Dolomite. Look under the fatbike section for instructions on how to do this. endless-sphere.com is another great resource.